Actor Chris Pratt says that Marvel has been letting James Gunn do what he wants with Guardians of the Galaxy 2. Guardians of the Galaxy was pretty danged fantastic. We feel safe in saying that most people would agree with that sentiment. That being the case, Marvel Studios and director James Gunn are still aiming to up the ante with its sequel: Guardians of the Galaxy 2. If a recent interview with Star-Lord actor Chris Pratt is any indicator however, the movie might do more than just offer bigger and better thrills. Speaking about the film, Pratt described Gunn's pitch for the movie as "remarkable" and even went so far as to claim that it left him feeling genuinely emotional. "[James Gunn's] pitch and his idea legitimately put tears in my eyes," he said. "I cannot wait to get started on it, and I cannot wait for people to see what he's going to pull off with this second movie. It's so, so big and so good." 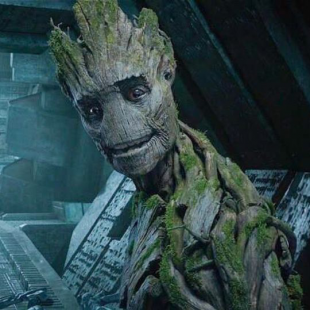 Pratt would go on to indicate that Marvel had been similarly impressed by Gunn's idea and, in turn, was leaving him alone to do what he wanted with it. "From what I understand," said Pratt. "They heard it at Marvel and they said nothing. There was no micromanaging of the idea, they just loved it so much that they didn't even have a note for it." the first draft of the script for Guardians 2 is now complete. So woo hoo for that! Guardians of the Galaxy 2 is currently slated to hit theaters in May of 2017.